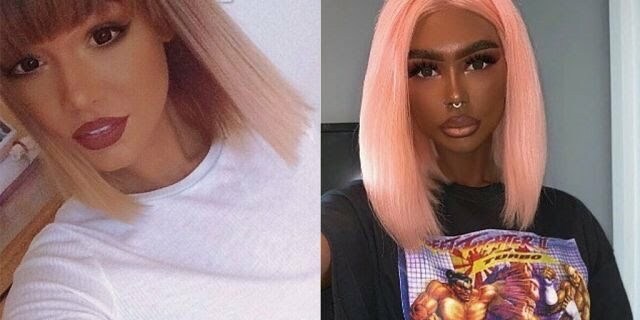 A woman in Northern Ireland claims that people are accusing her of “blackface” or trying to “switch races” due to her extreme tanning. Tittensor revealed on a recent episode of Barcroft Media’s “Hooked on the Kook” series that she “can’t live without having a tan ” and loves having a darker skin complexion, indicating that she “looks a lot nicer”. She mentioned that she gets her complexion from a combination of tanning beds and online-obtained injections called Melanotan rather than tanning sprays because they too “patchy” for her skin. Tittensor admitted that she might have an “obsession for tanning, she claimed that she feels better when she is tanning. She was attacked by critics on instagram after posting pictures of her complexion. Tittensor admitted that skin cancer is one of her concerns. “Cancer does run in my family, and I’m probably even more prone to me getting skin cancer. I think it’s just a matter of obviously getting your moles checked,” she told Barcroft Media. Her boyfriend Ben, expressed his tanning preferences and indicated that he is not too worried about the harmful side effects that comes with tanning and that no one in his family has cancer. Meanwhile her sister Rachel, is very concerned and said Tittensor does not listen when people try to “talk her out” of tanning.